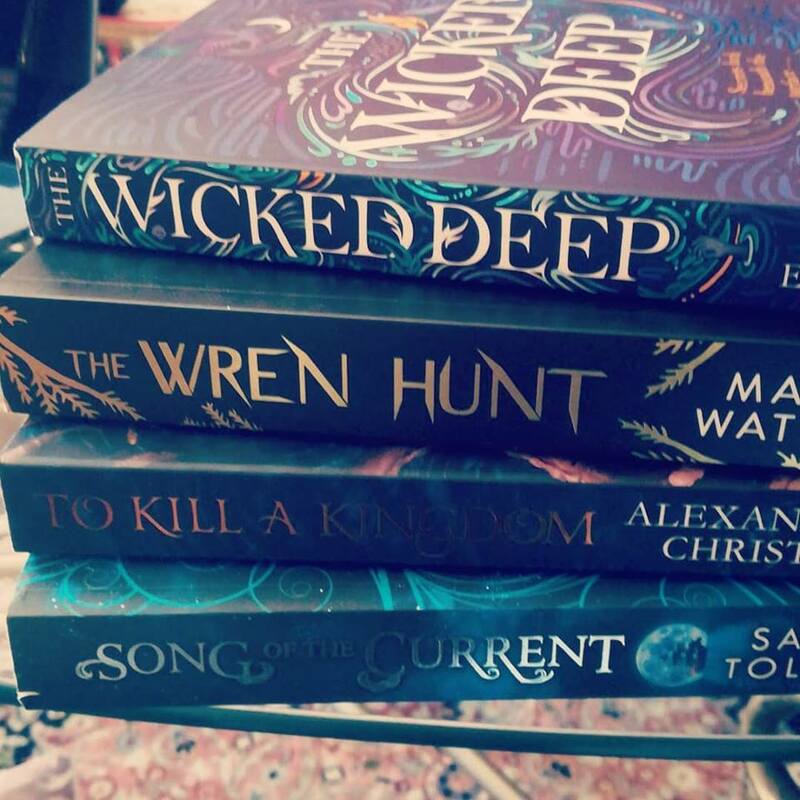 So this has been an absolutely brilliant month for me in terms of reading progress and book bargains. I feel like I have become a much more productive reader of late and that I am making progress with my Goodreads goal of 100 books this year. I am still way behind schedule, but I am going to push to get more reading done. I sit for far too many hours on Social Media and this is time that could be better spent actually reading books. 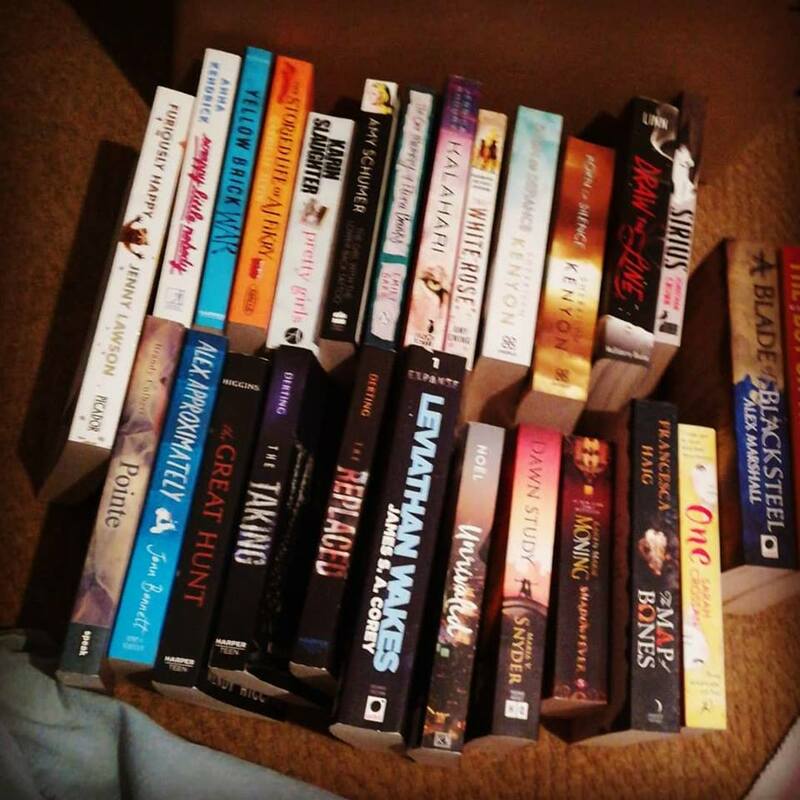 The month started off with a bang, as it was the Exclusive Books Warehouse Sale. We have not had one on two years, so I was really excited as every single item on sale was R30 each. Everything! I got up super early and drove out to their Warehouse in Kramerville with Nandi (who sometimes contributes to the blog with reviews). We arrived at 07h30am and the queue was absolutely insane already. It is clear that Jozi loves books, but doesn't always have the money to spend on them. After standing for an hour or so in the queue and burning my mouth on my coffee, we were let inside to scratch through tables and tables of all kinds of books. I was really pleased with the overall quality of this sale and saw books less than 2 years' old. 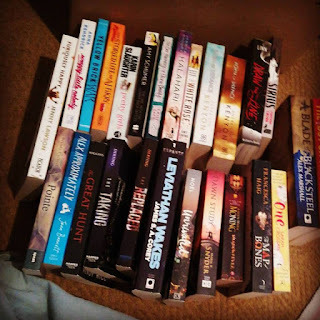 I got around 27 books and could easily have bought more if my arms and budget allowed for it! I read 9 books this month, a record for me. It's been a while since I have managed this many books in one month. We will ignore the fact that some of these are Mills & Boons and very quick reads. The point is that I read them. Dammit. I will do reviews on some of these in time, as well as a Mills and Boon Mashup Review for May. A small sample of my TBR. 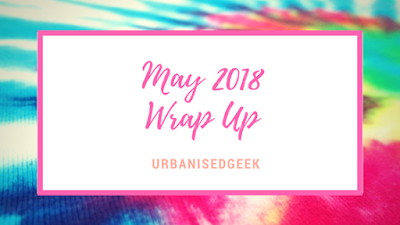 As much I would like to share my June TBR with you, I have realized that I cannot plan for my moods and never stick to them. Oh well. If you follow me on Instagram (UrbansedGeek), you will notice an increase in quality and quality posts over the next month or so. I am trying to get my Insta account going properly as I am finding it to be a great way to interact with other bookish people. Also, there is almost no hate there. It's awesome. Also, you can expect more opinion posts instead of reviews as I have realized that people tend to read those more than reviews, which I suppose can get boring after a while. If you do want to keep up-to-date on my reading, I am on Goodreads as Monique Bernic. That's it from my side. Have a great June, everyone!